This jacket is a deep rust colour with a dark brown collar. It does up with buttons and has am open left breast pocket. 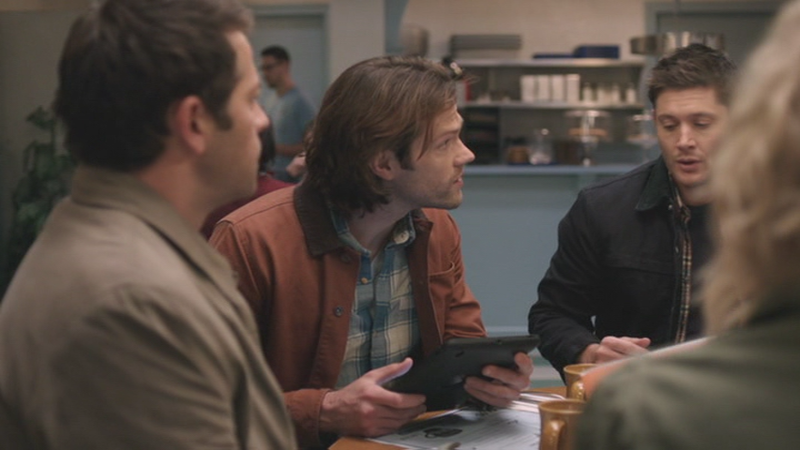 In Stuck in the Middle (With You) (12x12), Sam wears it for the entire episode. In The Future (12x19), Sam wears this jacket from when they track Castiel down at the motel until the end of the episode. 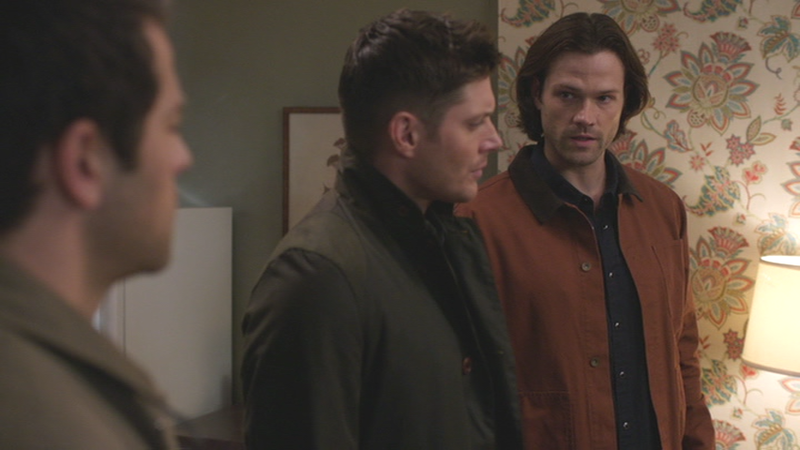 In All Along the Watchtower (12x23), Sam wears this coat once they leave the Bunker, and until the end of the episode.